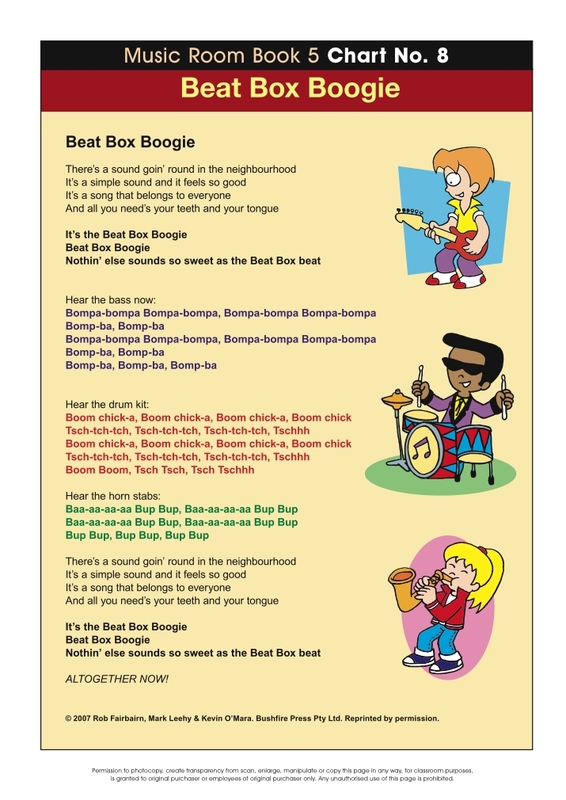 Written for students in their fifth year of primary school. 4 great feels (funk, calypso, hoedown, boogie-woogie), riffs, syncopation, harmony and multimedia work (audio-visual) plus further explorations of context & style and an end-of–year concert. 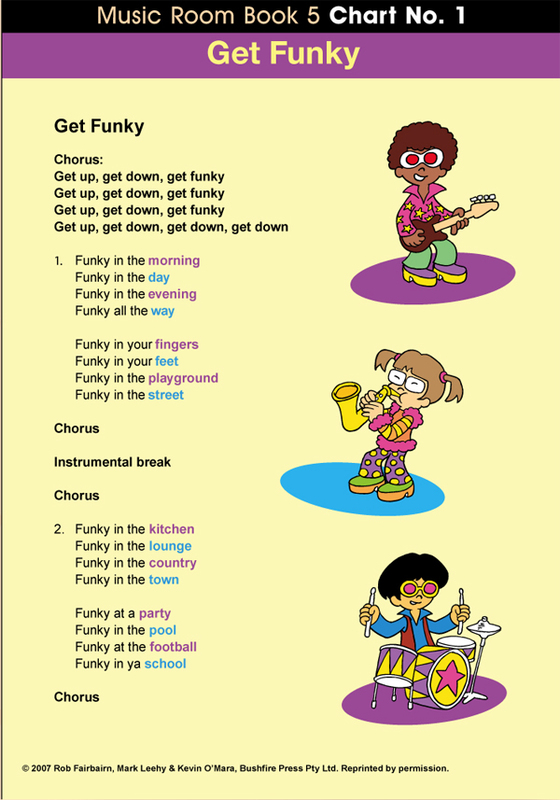 It includes extensive videos on musical activities, dance steps, instrumental techniques, ‘bushband’ instruments + slide shows and other visual material for the multimedia work in unit 3 (Exploring Sound: Musical Pictures). 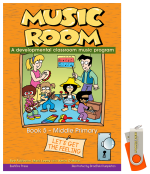 Music Room Book 5 +USB provides the full program in a physical book, with all audio visual included on a USB. Here is a copy of the contents page for Music Room 5. To see what a lesson looks like, access the free lessons available under the Product Samples menu.